The evolution of travel technology has had a profound impact on the airline passenger experience. In keeping with its mandate to deliver a world-class airport, LPIA operators have kept pace with these changes, often leading the pack when it comes to implementing new technologies and taking an innovative approach to operations challenges. 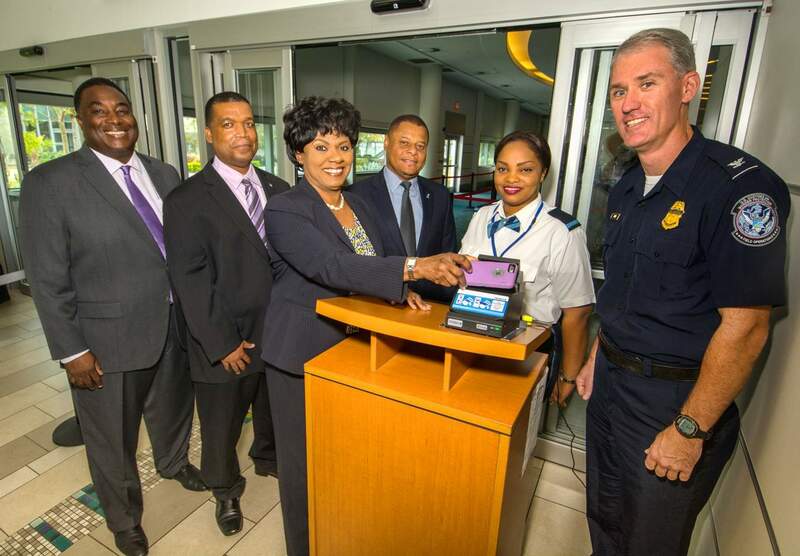 In the decade since Nassau Airport Development assumed management of the airport, one of the most important initiatives has been the launch of the Automated Passport Control BorderXpress kiosks, which expedite the border clearance process for travellers returning to the U.S. via LPIA’s pre-clearance facility. After 20 kiosks were installed in 2015, wait times to clear the border dropped dramatically – and LPIA saw a corresponding increase in customer satisfaction ratings. LPIA has also implemented Electronic Boarding Pass scanners to allow travellers without checked bags to use their mobile devices to move directly through the airport to security checkpoints and onto their gates. Taking a similarly innovative approach to operations and facility use, the airport recently converted two international gates into swing gates, which allows them to be used for both international and U.S. flights. This move increases capacity for processing U.S. flights by 20 per cent without expanding the physical footprint of the terminals. Additionally, a new apron drive bridge has increased the airport’s aircraft docking capacity and availability by some 50 per cent, thanks to upgraded airfield infrastructure. LPIA’s appetite for innovation will continue to support efficient operations, which help improve the airport experience for passengers and airlines alike. Follow the journey to our 10th anniversary on Facebook and Twitter.